Theresa May faces a crunch cabinet meeting later as she tries to win colleagues’ support for a draft Brexit agreement between the UK and EU. 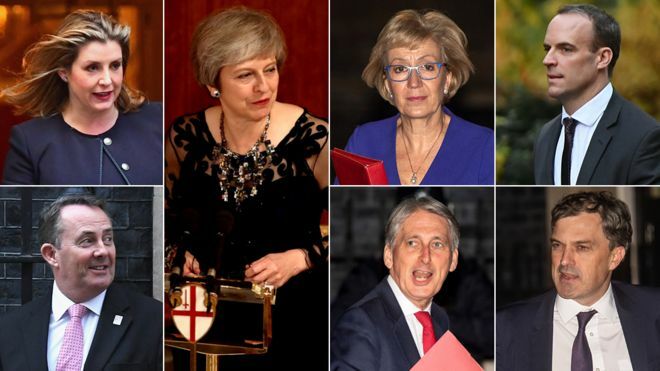 Senior ministers will gather in Downing Street at 14:00 GMT amid calls to reject the deal from both senior Brexiteers and some Remain supporters. The Democratic Unionists have warned it could lead to the break-up of the UK. But the BBC’s Norman Smith said No 10 were stressing it had pushed “right to the wire” and “gone as far as we can”. He said the prime minister would seek to head off the threat of any resignations by telling her ministers that while not perfect, the agreement was as good as it can get. Downing Street, he added, were pointing to what they view as significant wins, including no separate customs border for Northern Ireland and an arbitration mechanism to ensure the UK can exit the proposed “backstop” customs arrangement. 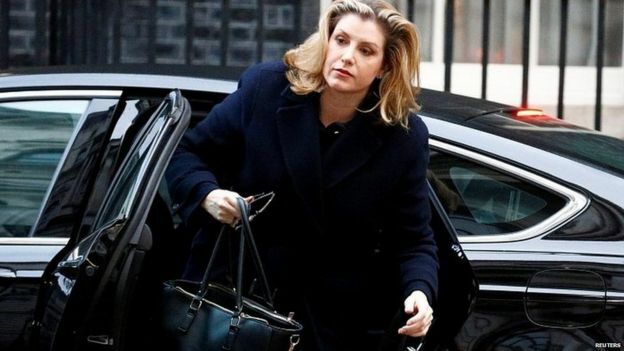 Ministers – including Brexiteers like Liz Truss, Esther McVey and Penny Mordaunt – have been filing into Downing Street to get their first look at the agreement in a special reading room, amid speculation about further resignations. Theresa May is briefing ministers on the plans on a one-to-one basis ahead of a full cabinet meeting expected to last three hours. If the cabinet signs it off, the EU Commission is expected later to publish the details of the 500-page draft withdrawal agreement as well as the much shorter declaration on future economic and security relations. The pound made a tentative rise against the dollar on Wednesday morning – up 0.12% – and rose against the Euro – up 0.16% – in the wake of news that the draft had been agreed. Ambassadors from the remaining 27 EU member states will discuss the possibility of organising an emergency summit later this month, earmarked for 25 November, to sign off on it. If this happens, the government will then face a battle to win Parliament’s backing, with some Tories vowing to vote against it and Northern Ireland’s Democratic Unionist Party – which Mrs May relies on to win key Commons votes – also expressing concern. The DUP’s Jeffrey Donaldson told BBC Radio 4’s Today that from “what we have heard… this deal has the potential to lead to the break-up of the United Kingdom and that is not something we can support”. He added that his party “do not fear a general election”, if that is what happens as a result of opposing the deal. Leading Brexiteer Jacob Rees-Mogg told BBC Newsnight he was so unhappy with the agreement he could withdraw his backing for Mrs May. But Conservative Chief Whip Julian Smith said he was “confident” the deal would pass when put to a crucial Commons vote. The draft withdrawal agreement addresses the Northern Ireland “backstop”, which aims to guarantee that physical checks will not be reintroduced at the border with the Irish Republic, in the event of the EU and UK failing to agree a deal on future trading relations. This has proven the most contentious part of the withdrawal negotiations, with concerns raised by Brexiteer Tories and the DUP over how it will work. The backstop within the agreed draft is believed to avoid a return to a “hard border” with the Republic by keeping the UK as a whole aligned with the EU customs union for a limited time. However, some Brexiteers fear this will keep the UK locked into EU trade rules for years. Reality Check: When is the crunch time? The agreement also includes commitments over citizens’ rights after Brexit, a proposed 21-month transition period after the UK’s departure on 29 March 2019 and details of the so-called £39bn “divorce bill”. The future relationship statement is expected to be far shorter, with the UK and the EU’s long-term trade arrangements yet to be settled. It doesn’t seem to me that many of the cabinet are likely to walk on Wednesday over what’s in the document. It’s suggested that those with bigger doubts are more likely to cause problems for the prime minister because it won’t get through Parliament. One source told me senior ministers are thinking not just about the wisdom of backing a deal they don’t like because it’s a sour compromise, but whether it is folly to back a deal they believe can’t get through Parliament. Slamming on the brakes now would force a crisis, but it could be less serious than the political disaster of pursuing this plan to an eventual calamitous defeat that could take them all down. 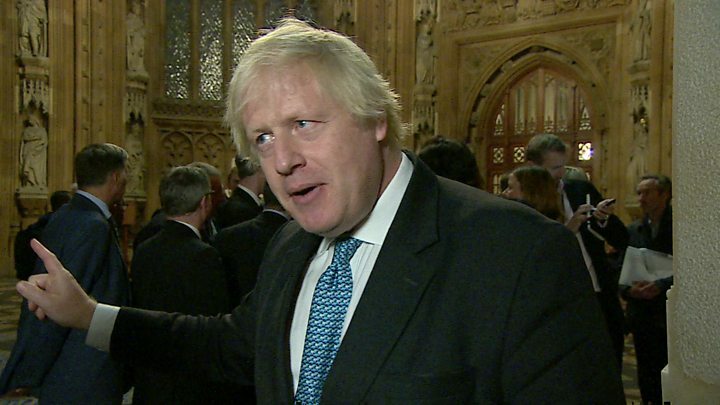 Former foreign secretary Boris Johnson described the reported agreement over the Northern Ireland backstop as “utterly unacceptable to anyone who believes in democracy”, and said he would vote against it. Meanwhile, pro-EU Conservative MP Justine Greening said the agreement would leave the UK with less influence and undermine its credibility. Former minister Jo Johnson – who quit the government on Friday in protest at Mrs May’s Brexit plans – told the audience cabinet ministers were “looking deep into their consciences” about whether to support the deal. But one of Mrs May’s allies, former first secretary of state Damian Green, criticised “hyperbole” from people who had not read the document. And former Conservative leader Lord Hague urged the cabinet to “stick together” – saying the draft agreement contained a “lot of compromises” but would allow the UK to regain control of immigration, fishing and farming. Labour have said they will study the agreement before deciding whether to back it, but leader Jeremy Corbyn has said it is “unlikely to be a good deal for the country”. “Labour has been clear from the beginning that we need a deal to support jobs and the economy – and that guarantees standards and protections,” said Mr Corbyn. He will get a chance to quiz Mrs May about the agreement at midday when he faces her in the Commons at Prime Minister’s Questions. What’s so striking about this draft Brexit deal the UK media and politicians are all abuzz about, is the marked lack of excitement and/or hysteria in EU circles. Contrary to the UK narrative, this is not viewed in Brussels as the back-against-the-wall, make-or-break moment. There’s still some time to keep negotiating. EU-UK technical talks are, in fact, ongoing as neither all the “i”s, nor all the “t”s of a deal have yet been dotted or crossed. The thinking here is: if the UK cabinet or certain EU member states strongly object to specific parts of the draft document (as long as they don’t rip up the whole thing), then negotiators can go back to the drawing board.